Our conservation efforts to preserve a green zone in Jakarta! 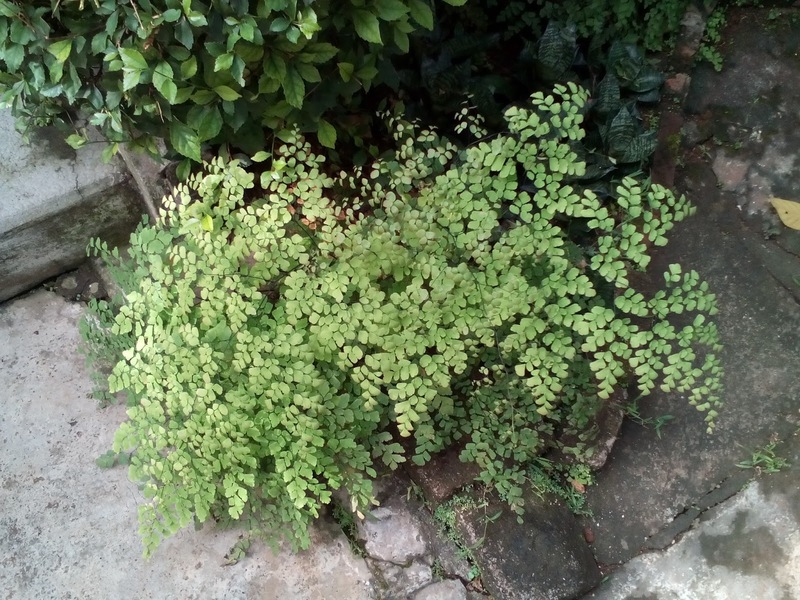 Maidenhair Ferns grow wild and pop up all over the yard. 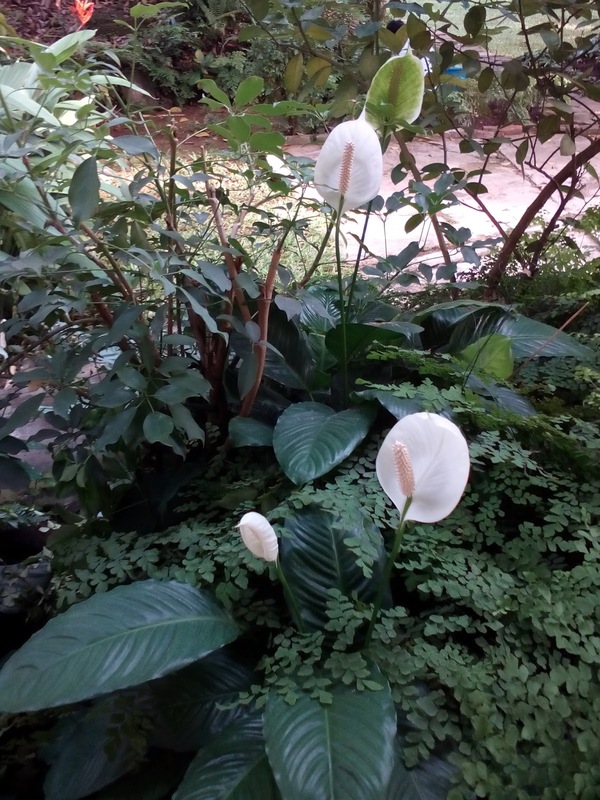 Peace Lily's grow well in our garden as long as I keep them watered! 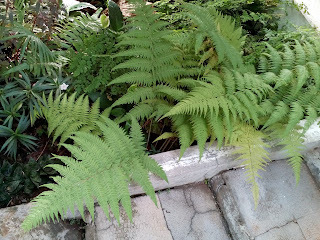 These ferns also grow wild in our garden. 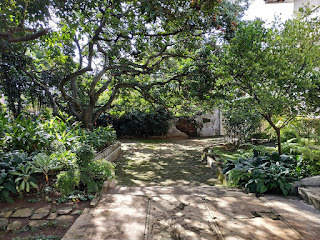 Our open space with large mature trees is a relative rarity in Jakarta. 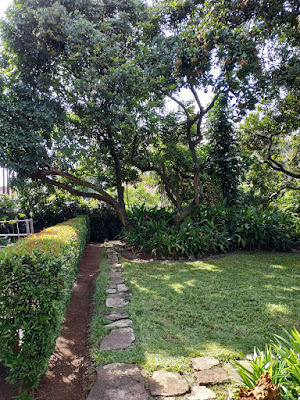 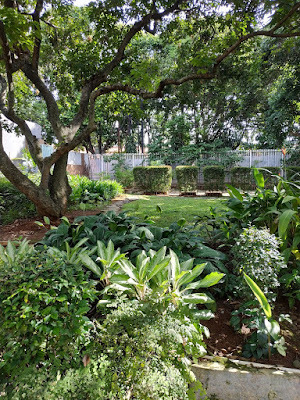 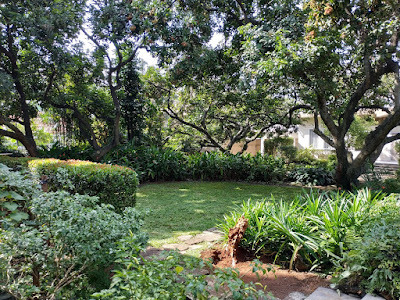 Many tell us to cut the trees and develop our valuable open space but we are trying our best to save this small oasis of greenery. 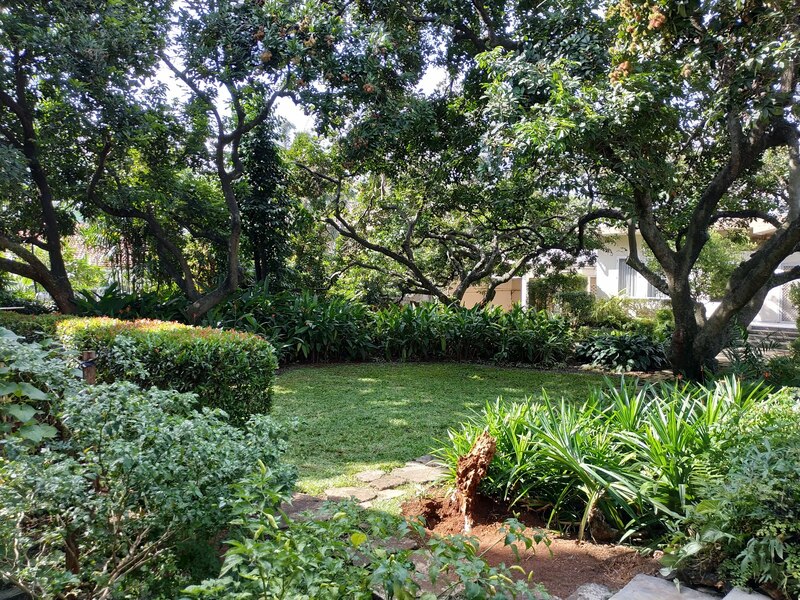 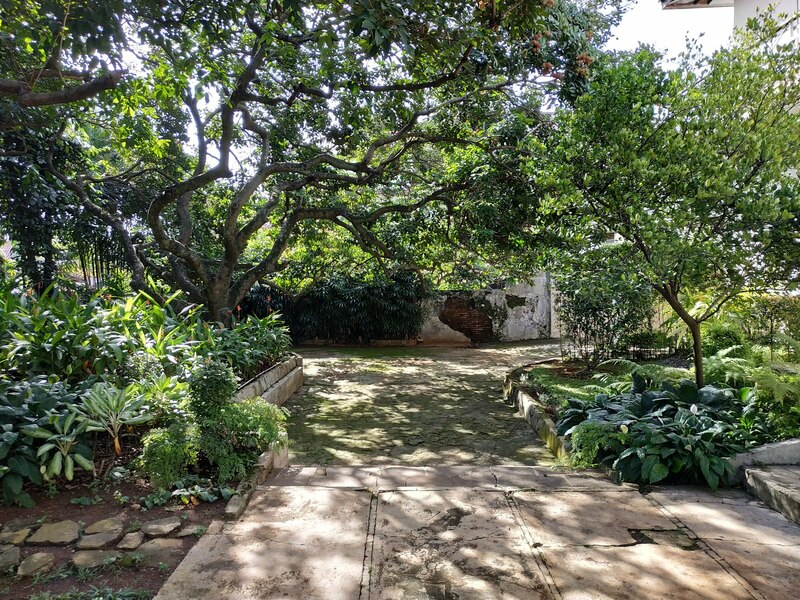 Enjoy our property, our gardens, meals, and of course, our beautiful trees.